← Innovation in Italian Politics? 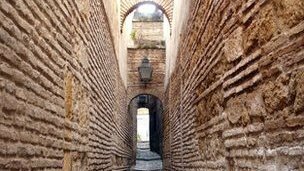 More than 500 years after the infamous 1492 expulsion of Jews from the kingdom of Spain, the modern Spanish government is preparing to invite Jews to return to the country. “In November ,” according to the BBC, “Spain’s justice minister Alberto Ruiz-Gallardon announced a plan to give descendants of Spain’s original Jewish community – known as Sephardic Jews – a fast-track to a Spanish passport and Spanish citizenship.” Tens of thousands of Jews converted to Christianity as conversos after the 1492 expulsion order, while others fled from Spain. Commentators have proposed various theories on political motives for this proposal and its timing, suggesting the Spanish government’s possible desire to initiate a rapprochement with Israel. Although many Muslims and moriscos (Muslim converts to Christianity) were also expelled from Spain in the fifteenth through early seventeenth centuries, no attempt to reach out to their descendents has been made. The BBC reports on this story. NIU students in HIST 414 European Wars of Religion, HIST 420 The Renaissance, and HIST 458 Mediterranean World, 1450-1750 will be interested in this article. Graduate students working on religious violence and intolerance issues will want to follow this story. This entry was posted in Civilians and Refugees in War, Early Modern Europe, Early Modern World, Empires and Imperialism, European History, European Union, European Wars of Religion, History of Violence, Human Rights, Mediterranean World, Political Culture, Religious History, Religious Violence, Renaissance Art and History. Bookmark the permalink. Reblogged this on Center for the Study of Religious Violence.